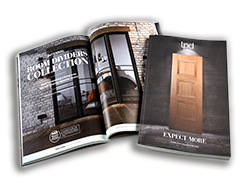 Getting across the quality, range and benefits of LPD doors to your customers can be a challenge if you’re limited to a brochure or website. So what could be better than introducing a display stand, to showcase our collection in a stylish, eye-catching and interactive way? Contact us today for more details – and look forward to showcasing the LPD door collection in your showroom. *Subject to conditions, speak to your local sales rep or call us for more information.